1. Firstly, they click on the "Pay with Bank" option on the payment modal. 2. 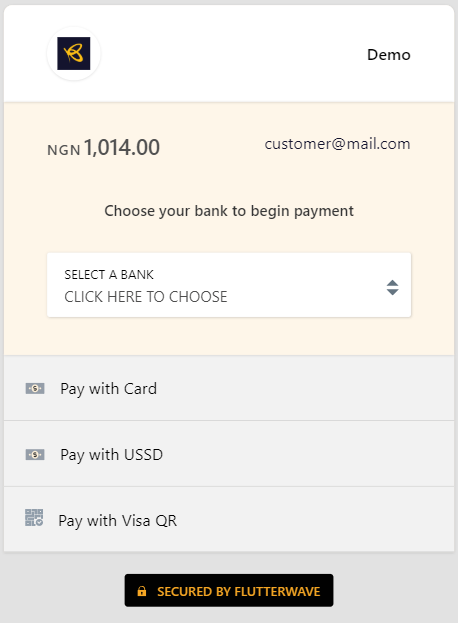 Then select a bank from the list of banks available, and input their bank account number, and they will be taken through the authorization steps on how to make payment. 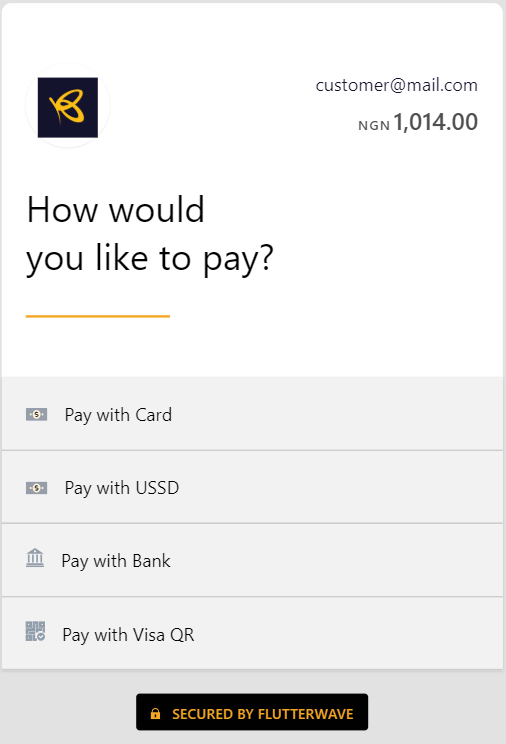 Note: At the moment, bank account payments are only available for NGN, USD, and ZAR payments. Also, recurring payments can not be made directly using bank accounts. They have to be processed via cards.